Fashion Design denotes the start of the fashion industry flow. Successful designers are the initial creators sketching, painting and building demonstrations that act as the beginning signs of an idea that will be put into motion. These professionals build creative inspiration through the upkeep of absorbing fashion knowledge that ranges all across the industry. Designers are found in a multitude of areas that include womenswear, menswear, footwear, accessories, textiles, interiors, events, packing and toys. Fashion Merchandising encompasses all tasks involved in producing a fashion line that ultimately sells. It must attract the attention of buyers who are responsible for getting it off the ground and into the store. Fashion merchandising is the performance of activities to supply consumers with quality apparel in the most appropriate retail setting, during the right season and at the best, most affordable price. The production process calls upon fashion merchandising experts with extensive knowledge in textiles, fabrics and trend analysis. 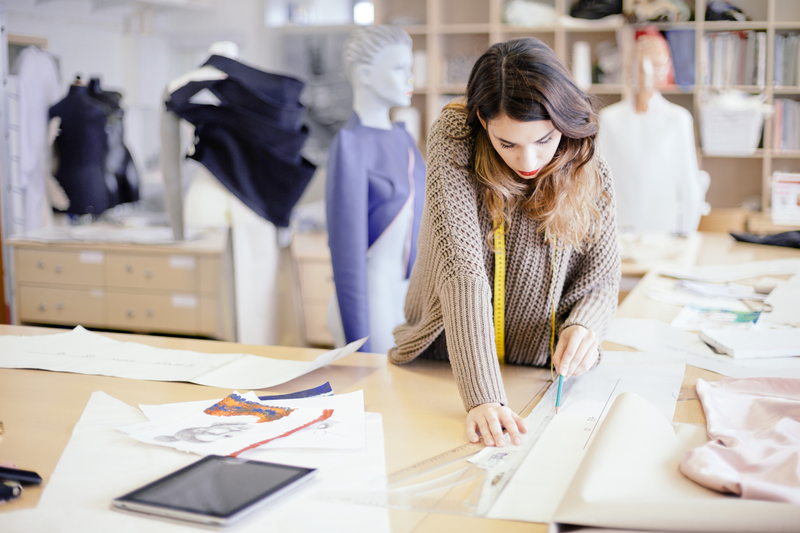 Examples of jobs in this field include fashion directors, buyers, product line developers and trend forecasters. 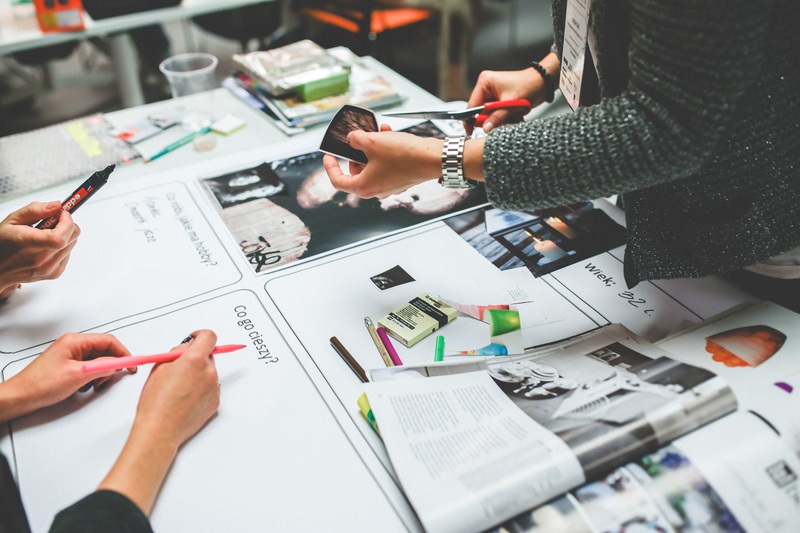 Fashion Marketing is the primary connection between design and the public. How will the right clothing get into the hands of the right consumer? The job of those in this field is to analyze consumer tastes and show how a brand best fits into that consumers lifestyle. Fashion lines must get noticed through storytelling, and the implementation of advertising campaigns and public relations strategies. The marketing employed might work within a specific company department, outside marketing or advertising firms or as an independent consultant. 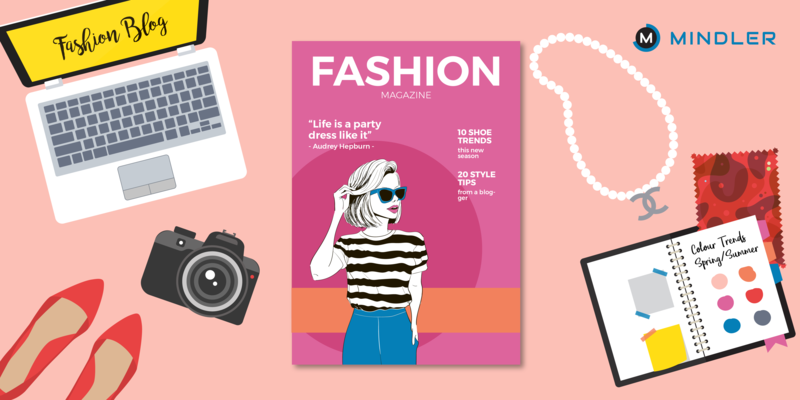 Some examples of marketing positions in the fashion industry are copywriters, media planners, publicists, event planners, journalists and market researchers. Fashion Management is a fashion industry area that is found within both corporate and retail environments. Those involved in this field manage day-to-day operations of sales environments, as well as different corporate departments such as production, manufacturing and human resources. 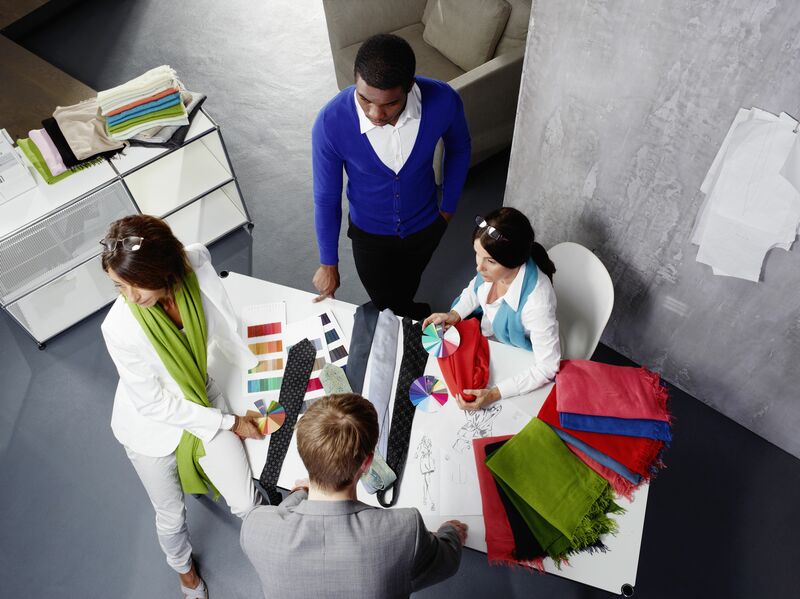 Managers are responsible for supervising employees, whether it be sales associates or those employed within the production department of a fashion house. Examples of management jobs in the industry are sales managers, showroom representatives, apparel production coordinators and human resource managers. Visual Merchandising is the art of creating engaging displays of fashion. Visual merchandisers combine design ideas with products in a specific environment that is meant to increase store traffic, sales and create emotion. These displays are installed to project a particular image to store customers and effectively promote certain items. These installations are meant to be in-depth, for their purpose is to create a buying mood and telegraph to customers what the brand and store is all about. Display designers, store planners, and window, prop and mannequin stylists are all part of this field and may be independently employed or work with a team. Art and Graphic Design is a field in the fashion industry that is overlapped within all sectors. For example, an illustrators skills could be called upon for the upcoming advertising campaign of a designer. The same illustrator may very well be utilized by the designer again for a new website layout. This also holds true for a photographer, who might work on a campaign, lookbook, as well as a magazine editorial shoot all within their career. This area includes positions such as art directors, animators, illustrators, commercial and studio photographers and photo editors.